SALT LAKE CITY (November 14, 2018) — The Salt Lake City Stars, the official NBA G League affiliate of the Utah Jazz, have acquired the returning player rights to guard Wes Washpun and a third-round draft selection in the 2019 NBA G League Draft from the Iowa Wolves. In exchange, Iowa has received the returning player rights to center Diamond Stone. Washpun (6-1, 175, Northern Iowa) appeared in 43 games (two starts) with the Iowa Wolves last season, averaging 6.6 points, 2.1 rebounds and 2.0 assists in 22.9 minutes. 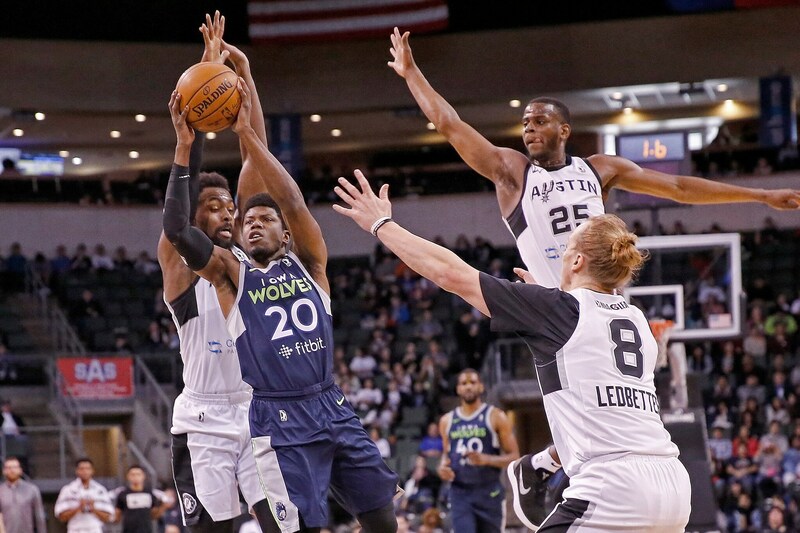 The Northern Iowa product has appeared in 77 career NBA G League games (20 starts) over two seasons with Iowa and he is currently playing internationally with Aguacateros de Michoacan in the LNBP, the top basketball league in Mexico. Washpun was named the MVC Sixth Man of the Year in 2015 and earned MVC Tournament Most Outstanding Player honors in 2016 during his collegiate career at Northern Iowa. Stone (6-11, 255, Maryland) appeared in 31 games (13 starts) with Salt Lake City and the Windy City Bulls last season, averaging 15.9 points, 6.4 rebounds and 1.1 assists in 24.3 minutes. He was acquired by the Stars on Jan. 17, 2018, from Windy City. The Stars will continue their homestand against the South Bay Lakers on Thursday, Nov. 15, hosting “Wizard Night presented by KeyBank” at Bruin Arena. Tickets for Stars home games, which start at $5, are available at slcstars.com.